"For close on half a century I have known and been delightfully informed by Adam Ulam -- often during a daily encounter for lunch at the Faculty Club. He was the central spokesman on Soviet and Russian matters for all those years at Harvard. I did not always agree; I was always informed and enchanted. We have lost Adam, to our sorrow and regret, but we have this book which tells wonderfully of what we once found so alert and interesting. "I add my voice in gratitude that we still have this memory of one of the most distinguished and articulate members of the Harvard community, one we remember with both affection and gratitude." ". . . Fascinating book: Adam Ulam was not only one of our greatest historians of the 20th Century; he also lived through its calamities and catastrophes. This is his moving, often riveting personal account of those tumultous decades. It is a compelling and deeply engaging story." Try to imagine the intellectual life of the post-war West without the Polish emigration. The Polish impact has been especially immense when it comes to views on Russia. Here are the dust jackets of two of his many books. Both may be bought at a special price through Amazon.com. Just click on the title of the book you wish to order. Use this link to see more quotes from book reviews. Stalin:The Man and His Era "Ulam's account of the 20th Century's Genghis Khan is an absorbing study of power won and terrifyingly applied." We welcome suggestions and feedback about this site, which is maintained by Leopolis Press. Please send an e-mail. Thanks to Mr. Julian Bussgang for observations and suggestions about several of the family letters. ADAM ULAM was born on 8 April 1922, to a prosperous professional family of Jewish origins in Lwów, Poland, and he died on 28 March 2000, in Boston, Massachusetts. He received his B.A. from Brown University in 1943 and his Ph.D. in 1947 from Harvard University, where he was on the faculty for almost forty-five years, retiring in 1992. His career in some ways divides itself into the Polish period of his youth, which ended tragically, and the longer American period that followed it. The Polish period ended abruptly in 1939, when Adam was only seventeen. He and his brother, Stanislaw, the brilliant mathematician, then a Junior Fellow at Harvard, sailed for the United States just two weeks before the Nazis attacked Poland. Adam entered Brown that fall. He was never to see his father or his sister again; his mother had died of cancer in Vienna the previous year. Both father and sister perished at the hands of the Germans, along with numerous other members of his less immediate family. Adam Ulam never returned to his native land. Although he almost never spoke of his bereavement, the effect on him was profound, inducing in him a complex sense of physical vulnerability to the world combined with a certain emotional reticence, and at the same time a remarkable capacity (and need) for friendship. Ulam had a deeply personal understanding of the horrors of which human beings are capable, and he had very little sympathy for meliorative schemes of any kind. His friend and colleague of many years, Professor Samuel Beer, spoke of his "dark integrity," a phrase that resonated with many of his other friends. 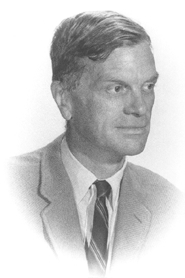 Ulam's career at Harvard was a distinguished one: he produced some nineteen books, including his memoirs Understanding the Cold War: A Historian's Personal Reflections, published posthumously in 2000. As a total oeuvre, Ulam's work was probably the most impressive of any Russian/Soviet historian's of his generation in the United States, in terms of both breadth and depth. He wrote three comprehensive volumes on Soviet foreign policy including the magisterial Expansion and Coexistence (1967, 1976), still regarded as the best overall treatment of the first half-century of Soviet foreign policy, despite the passage of time. As his student Angela Stent put the matter, even though Ulam had no access to archives, "he instinctively understood Soviet foreign policy behavior, and his writings on these issues will outlive those more ephemeral 'scientific' contributions to the discipline." His biography of Lenin, entitled The Bolsheviks, was published in 1965, and remained in print for the rest of the twentieth century. It is still an invaluable study of the Bolshevik mentality and a splendid read. His Stalin, the Man and his Era appeared in 1973 and remains one of a handful of essential studies of the dictator. Although Ulam's major interest was the power politics of the twentieth century, he also produced several notable studies of pre-revolutionary Russian radicalism. He also wrote on English socialism, the schism between Stalin and Tito, and what he regarded as the decline of the American university during the sixties. Ulam had a remarkable memory and an equally remarkable capacity for systemic analysis, which one always thought must bear some genetic relationship to his brother's mathematical genius. But he united that propensity for close and detailed analysis with other qualities not often found in its company: a novelistic interest in the details of human life and a bold sense that he was entitled to investigate the lives of men of power with freedom--indeed irreverence--and imagination. Although Ulam taught his whole career in Harvard's government department, he was really an historian. But his profoundly historical sense of the world was complemented by a pronounced lack of interest in historiography and its traditions. He depended upon his own instincts to tell him what was important and upon his own taste and inclination to direct him in the achievement of the tasks he set himself. He never thought about fashions in history or what "needed to be done." He read immensely widely, but generally as the spirit moved him. His footnotes, though never misleading, were often cavalier and frequently elicited disapproval from the strait-laced. Ulam's intellectual home was not Harvard's government department, but the Russian Research Center, now the Davis Center for Russian Studies, where he worked for half a century. There he produced his remarkable series of publications; there he received the thousands of books and pamphlets that his research assistants brought him from Widener Library; and there he held forth every morning at "coffee," where he exchanged views and on occasion information with his colleagues. "Coffee" was a pleasure for most of his companions, but it was also thoroughly institutionalized, and attendance was de rigeur for visitors and regulars alike. There was never any question as to who was the presiding genius. Finally, it seems important to observe that in his own way he was part of the "intellectual migration" from Europe to the United States occasioned by German National Socialism. He shared certain dominant traits of this remarkable body of men and women: a profound realism, laced with irony; a disinclination to believe that human beings are likely to become much better any time soon; a fascination with power; an admiration for Americans, tempered by the belief that despite their admirable qualities they remained naive and childlike provincials, who on occasion needed to be protected from themselves and their generous impulses. This remakable and distinguished scholar will live in the memory of his friends and students for many years to come. He left two sons, Alexander and Joseph, and his wife, Mary Burgwin Ulam, from whom he was divorced and with whom he was subsequently reconciled. Adam Ulam was a pre-eminent scholar of Russian and Soviet politics and of the history of the Cold War. He was born and raised in Lwów, a major city of interwar Poland. He was the third child in the prosperous Jewish family of Józef Ulam, a lawyer, and Chana Ulam (née Auerbach), who died in 1938. His elder brother, Stanislaw, an outstanding mathematician, came to the United States in 1936 to join the Harvard Society of Fellows. He would later move to Los Alamos and be a key contributor to the Manhattan Project. Adam Ulam, having followed Stan's recommendation about college study in the U.S., narrowly missed being trapped by the outbreak of World War II. It was only his father's sense of impending disaster and plea that he depart early that got him on board a ship out of Poland around August 25, 1939, weeks before the invasion by the German Reich and the Soviet Union. The family left behind met a cruel fate in the Holocaust. Ulam's sister Stefania was executed by Nazi camp guards in 1943; Józef died in unknown circumstances; cousins, aunts and uncles also perished. Letters from Poland stopped in 1941. The brothers learned of the deaths of father and sister only in 1945, by which time Lwów (now L'viv) had been incorporated into Soviet Ukraine. Their bereavement, and Adam's gratitude for the mentorship Stan offered cemented a bond which remained unshakeable until Stan's death in 1984. Ulam was introduced to academic pursuits as a Brown undergraduate. His main interests were British history and philosophy, which merged in a senior thesis on the English Utilitarians. Afterward, denied enlistment in the Army because of his nearsightedness, he spent a year teaching Slavic languages to soldiers at the University of Wisconsin. He entered the Ph.D. program in the Harvard Department of Government in 1944 and completed a thesis on Fabian socialism in 1947; it became his first book in 1951. Ulam was never to leave Harvard. Hired as an instructor in the Government Department in 1949, he was awarded tenure in 1954. He was Gurney Professor of History and Political Science from 1979 until his retirement in 1992. As a young scholar, Ulam took up the study of the Sovit bloc, first as a sideline but soon as his main focus. He later quipped that with an eye to course enrollments he hitched his star to a rising empire, now that the sun was setting on the British. But the shift fitted perfectly with two lifelong fascinations - with political ideas and with the totalitarian regimes that had engulfed his birthplace - and he already had the linguistic tools needed. Ulam's first book in the field, Titoism and the Cominform (1952, argued presciently that the Communists' reckless pursuit of their goals risked social and economic disaster and internecine quarrels which could undermine their power. His last scholarly book, The Communists: The Story of Power and Lost Illusions (1992), took the same approach, now in retrospect. Communism, he said, lost out because its ideology was wrong-headed and because growing awareness of that in the governing parties demoralized them and bred irrepressible conflicts within and between Communist nations. Ulam was an incisive and remarkably fecund scholar. All told, he authored twenty books. His Unifinished Revolution (1960) was a searching exploration of Marxist thought. The Bolsheviks (1965) quickly became a standard biography of Lenin, and Stalin: The Man and His Era 1973) just as quickly for Stalin. The magisterial Expansion and Coexistence: The History of Soviet Foreign Policy, 1917-67 (1968) was perhaps his most widely read book. There were two sequels: The Rivals: America and Russia since World War II (1971) and Dangerous Relations: The Soviet Union in World Politics, 1970-1982 (1983). Among Ulam's other works were a textbook on comparative government (Patterns of Government, 1958, with Samuel Beer); a critique of U.S. higher education (The Fall of the American University, 1972; several volumes on Russian revolutionary thought; and a novel on the Soviet 1930s (The Kirov Affair, 1988). Ulam was hard to pigeonhole intellectually, and he took some pleasure from this fact and from his independence of all orthodoxies and parties. Despite his abhorrence of Communist regimes, he counseled patience and adherence to Western values as the best way to contain them and bring about their dissolution. His writings emphasized the historical and civilizational context while also insisting on the significance, and occasional perversity, of personalities. He meted out praise sparingly; his criticisms were more often couched in coolly ironic than in hotly dismissive tones. Ulam resisted the trend in the social sciences toward hypothesis-testing, and over the years took his distance from the Government Department. He was more in his element in non-departmental venues, principally Eliot House, the Signet Society, the long table at the Faculty Club and the Russian Research Center -- seeing in them, one suspects, qualities of the convivial Polish coffeehouses recollected so fondly in his memoir Understanding the Cold War: A Historian's Personal Reflections (rev.ed., Transaction Publishers, 2002). The Russian Research Center was his reall intellectual home. A charter member since its founding in 1948, he directed it with distinction for sixteen years. Ulam had deep friendships in and beyond the Harvard community. He maintained, however, an inner reserve which undoubtedly owed much to the tragedy of the Ulams of Lwów -- a topic on which he was nearly silent until its appearance in his memoir. He never returned to Poland or Ukraine, and made but one brief visit to Russia. Indeed, he made a point of minimizing all travel. Even on campus, he sent research assistants to Widener rather than browse the shelves because, as he told colleagues, he feared their riches would distract him from his lates writing project. Adam Bruno Ulam married Mary Hamilton (Molly) Burgwin in 1963. Their marriage produced two sons, Alexander and Joseph. The couple divorced in 1991 but reconciled later, when Molly did much to nurse him through his illnesses. Respectfully submitted: Samuel Beer; Abbott Gleason (Brown); Samuel Huntington; Martin Malia (Berkeley); Richard E. Pipes; Timothy J. Colton, Chair. Although the Ulam brothers left Warsaw on the SS Batory just days before the German battleship Schleswig-Holstein steamed into the port of Gdynia, readying herself to open fire early in the morning of September 1, they, from their place of relative safety heard the desperate cries of those left behind, in the form of pleading letters for help. Because of the peacefulness of Poland's relative isolation from Germany, though well aware of Hitler's intentions, they, along with tens of thousands of thoughtful Poles, could not bring themselves to believe what they learned by radio in the middle of the Atlantic: the sudden onslaught of that beautiful September day. It portended a terrible fate for most of them. Many packed into their cars what possessions they could and joinedd the slow, winding procession eastward in the direction of Romania, bribing the Russian border guards as they entered. Once landed from the Batory in New York, Stan Ulam found that the funds on which he and Adam were expecting to live had been frozen in a London bank, and he was forced to support Adam at Brown University College from his meagre salary as a Harvard Junior Fellow. Desperate letters began to arrive from their relatives, who were fleeing in all directions, all needing money above all. Here are some of those letters. The translations and notes are by Prof. Marek Chodakiewicz of the Institute of World Politics, Washington, D. C.
After the occupation of Austria and the confiscation of my enterprises and posessions, I realized that I must emigrate, and turn to you with a request to procure an affidavit for me. I refrained from carrying out that intention because I did not want to bother you about such a business, which is full of responsibilities. Therefore I turned to an assistance committee in New York, which after a long wait sent me an affidavit, in March of this year, admittedly at the right time. Because my life and freedom were endangered and because I could no longer wait for my quota number [to emigrate to America] (I fall under the Polish immigrant quota), I no longer was allowed to remain in Vienna. Therefore I have decided to head to Shanghai, where one is permitted to travel without a visa, in order to wait there for the [American] visa. I was permitted to emigrate there with 10 Reichsmarks in my pocket (isn't this a farce?). I shall be, when we arrive in Shanghai, without any money and any help! What that means requires no comment! Although there is here [in Shanghai], I hear, an assistance committee, which takes care of the refugees, a minimum amount of money, which I need to complete my journey that must be continued, cannot be had and is impossible to procure. And therefore I want to ask you, dearest Stasio, to assist me with about $200.00, by wiring it to me, if possible, so that when my quota number comes up I can travel to the United States. I am not asking for a gift from you. Because of my profession, I have the prospects to be earning money, and I will then be in a position to repay the loan with the profoundest thanks to you. Presently, I have found myself on the aforementioned steamer on the way to Shanghai, and I follow the inner voice of my heart, which tells me that you would not refuse your assistance to me. It is not because that I can think about [doing for you] something in return that I have turned to you with the aforementioned request. This I do because I feel that your assistance will come at the quickest possible pace for you, in harmony with your upright character that I know can understand my situation, in which I have found myself through no fault of my own. Presently, on board an Italian steamer, I am not in a situation to provide a detailed presentation of my experiences. However, I believe that you will understand me and that you understand the picture. My impressions will be a bit more fully completed for you at some other time. . . . Please send the amount of money I asked for as well as any correspondence to the address of Julius Steiner, poste restante, Central Post Office, in Shanghai. Already in advance thanking you profusely, I remain with cordial greetings and secure that at the next opportunity I shall repay with thanks the amount forwarded here. § 1 Written in German on the stationery of the Lloyd Triestino shipping line, while at sea. § 2 "Dein Dich schätzender." § 1 A telegram written in German. § 2 The hotel in Bucarest where Andrzej and the Goldbergs stayed (his mother Salomea Goldberg and her second husband; her first husband, Adrzej's father, was Jakub Ulam). § 3 Andrzej Ulam escaped to Romania before the arrival of the Wehrmacht and the Red Army, which both attacked Poland in September 1939. The Polish Army units defending Lwów fought off the German advance and chose to surrender to the Soviets on September 22nd. The Soviets prevented the escape of the rest of the Ulams to safety. I'm writing in German because I don't have a Polish typewriter handy, and I have to use a typewriter anyway with my at times illegible handwriting. Now, my dear, there's been a terrible catastrophe. . . I must get out, and I'm here without any kind of money. . .tragic days, because I'm threatened with death by hunger. Thus I am forced to turn to you with an urgent request that you help immediately; otherwise I will die here, and there is no rescue. Thus I request that you send [any] amount of money as a loan and that you will send it by bank [cashier's] check. I will use the money each month until I go back to Poland, or emigrate to America. I hope very much that Poland will soon be normal again, and then I will gratefully pay you back everything. My situation is probably difficult for you to understand, but simply the fact that I turn to you with such a request will explain to you the catastrophic condition and tragic stuation. . . if it were not for the prospect of help from you, I would make an end to my life here. I am counting on your goodness and kindness and sacrifice to help. Daten für Afidavit: Józef Auerbach, geb. am 4 Febr in Stryj; Vater: Vornamen: Adolf; Mutter: Fanny. § 1 A first cousin on Stanislaw Ulam's mother's side. At the time of this letter he was in his late twenties. "From our office in Czernowitz, Romania, we received a request to forward to you the enclosed communication from the above. We hope you will be able to give the matter referred to in the letter your kind attention. . . ."
It is for the first time during the war, that I have the possibility of sending You some news. Alas, these news are without exception sorrowful, as can be the news from the theatre of war. From our whole family, I and my mother are the only alive. Your father and mine, your sister and her husband fell from the hands of Nazis; and these five years of war, from the very beginning, are for us a story of constant terror and persecution. It would have no purpose to relate this story with details; I shall do it, when we meet again. As to myself, I am still in Lwów, but not for long. After the flight of Germans from here, I got a post on the University, owing to the help of Stephan, and I was accepted to the IIIrd course of mathematics, after having passed all necessary examinations. My incessant study of mathematics, which I continued in spite of most unfavourable conditions, enabled me to do it. Stephen left for Moscow in January, and got perhaps a contact with You already. I leave in the nearest days for Cracow, where I shall enter the University, most probably the IVth course, if my material conditions, very heavy now, will allow me to study. Because I was not sure whether my last letter, sent to Harvard, would reach you, I am sending the current one to the Annals of Mathematics, where they probably know your address. It may be that you may have learned indirectly from relatives and friends some details of the war-time events in Lwów. As I wrote you in my previous letter, only Mother and I were saved out of our family. Everyone else perished between 1942 and 1944, in various circumstances at the German hands. It would take up too much space if I were to describe everything for you. Our experiences throughout these 6 years, 1939-45, would provide enough raw data for an entire library of adventure stories, thrillers, and, unfortunately, macabre tales. One emerged from that period intact and healthy only because of some extraordinary accident. [I can say so] as a member of a small handfull of those who were saved. Each of us lived throughout the period with an unpleasant perspective of sudden death at any time and in a constant struggle for life that gave us laughable small chances for survival. Therefore I am not even attempting to describe for you the incidents which directly caused the deaths of our closest relatives. I shall tell you about them when we meet. My greatest wish is that we meet as soon as possible. I left Lwów a year ago; I am about to finish my studies in Kraków but, overall, I have no idea what I will do upon my graduation. I would leave here most gladly. If there are any possibilities that could allow you to help me achieve that, I beg you let me know about that. Even more importantly, take advantage of those opportunities as soon as possible. Many of my acquaintances have already left, and I see no wiser way than to follow into their footsteps. I would have done it last year already but being a senior (majoring in mathematics of course! ), I wanted absolutely to graduate here first. I really care to get in touch with you as soon as possible. I still know nothing about both of you. I have not had any news, even indirectly. I believe that this is because you were looking for someone in Lwów. I beg you, when you receive this letter, write to me to the address as indicated on the envelope. I am awaiting your reply with great impatience. Give my cordial best to Adas and accept my firm handshake and kisses.